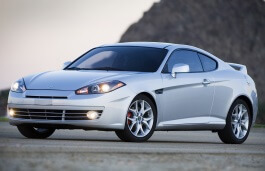 Correct Wheel Sizes, PCD, Offset, Rims and Tire specs for Hyundai Tiburon series. 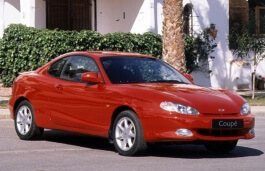 I have a Hyundai Tiburon. Can I put 17" on it. If I do will it trouble me. 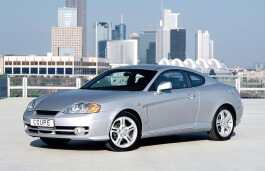 I have a set of 18" wheels on my 2001 tiburon. They fit very well. just not onto my vader rear bumper amazingly. with more than just the driver the wheel rubs the bumper on bumps. can tire size 215/40/17 fit Hyundai Tiburon 2006 ? 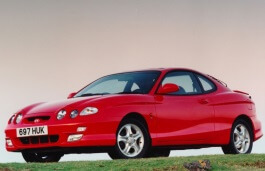 Can I put 205/50R16 tires on my 2001 Hyundai Tiburon? 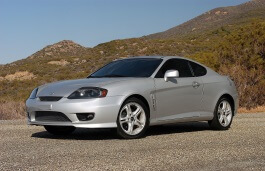 I have an 2001 tiburon if I switch my tires and rims to 16s is there anything else I need to change? I have 7J X 18 H2 wheel will 8J X18 will work? Will 235/45-17 fit on my 2004 Hyundai Tiburon? Will a 16x8 steelie fit my tib? Hi,Lando,The offset 0 is too small for your car,the stock rims offset is 40mm. Can tire size 225/50/R16 fit Hyundai Tiburon 2006 ? Thank you John, I really appreciate your help.. What about the engine? I mean does those tires affect the performance of the engine? Hi,Aimen,No,it will not effect the engine. HI,Trice,Can you show the spare tire size? Hi,Chris,The tire is compatible with the stock tires,For the rims width.what the size of it?